want to buy/sell advertising here by filling in the form below. If your product sells, use the form below to have your ad removed. Ads must be renewed monthly. Keep it as brief as you can. 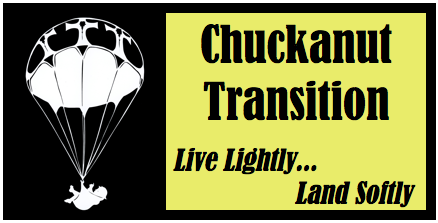 Chuckanut Transition does not endorse any products listed here. 8 month old Narragansett turkeys ready to breed. Hatched June 2, 2014 and have been raised on non soy non GMO food, and free ranged. Original purchase from Valley Farm Supply. $150 for all three. They have a total of 15 turkeys and just need to scale down. Wanted: Vintage Hog Scraper (both ends). Willing to trade. Yoga Classes in Bow at Double S Quarter Horses. Every Tuesday 7-8 PM, $10/class. Goat manure and straw for pick up from Amy Burke of Little Treasure's Daycare just outside of "downtown" Alger. Will tractor load.